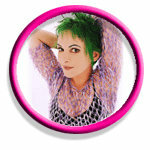 PBDG star Jane Wiedlin was interviewed at the Entertainment Media Show in London. Check it out and catch up on her many activities, including her comic Lady Robotica. If you are in LA on October 23, join Jane at Bowling for Boobies, a fun charity event to raise money for women fighting breast cancer. Or just donate to this great cause. This entry was posted in Cast, Jane Wiedlin, News and tagged bowling for boobies, film, jane wiedlin, lady robotica, news, people, pinball, star trek by Anna Newman. Bookmark the permalink.